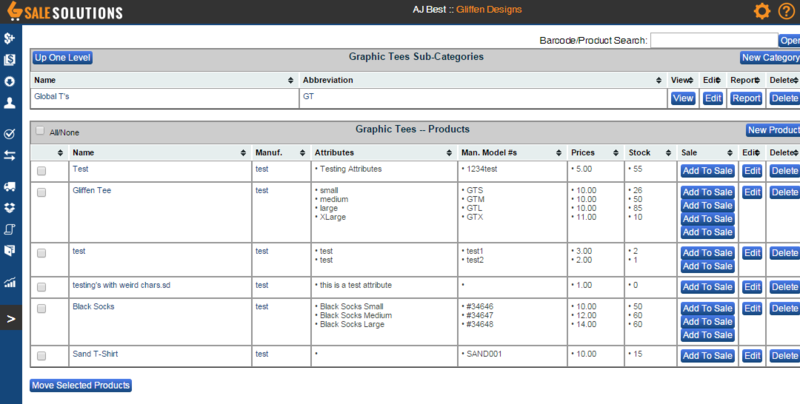 Below are various screen captures of the major Features of the GSale POS application. This is the sales history area where old sales can be looked up and edited if needed. 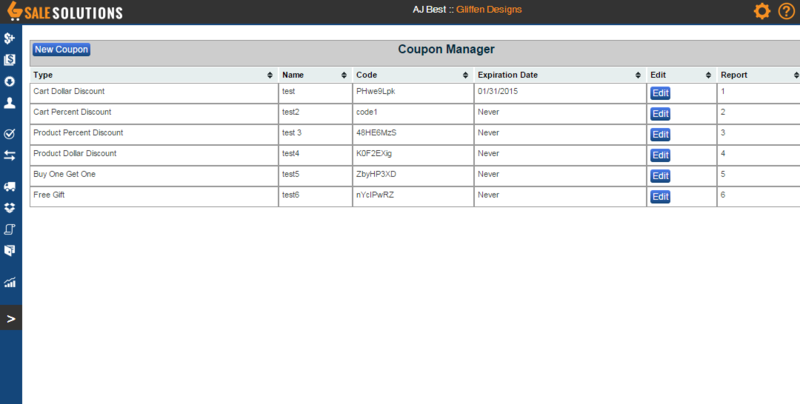 The Coupon Manager shows a list of coupons that have been added to the system. 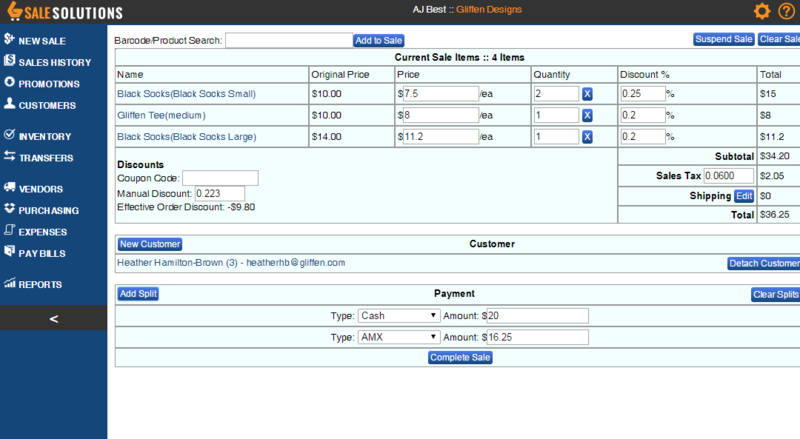 From here new coupons can be added or existing ones can be edited. 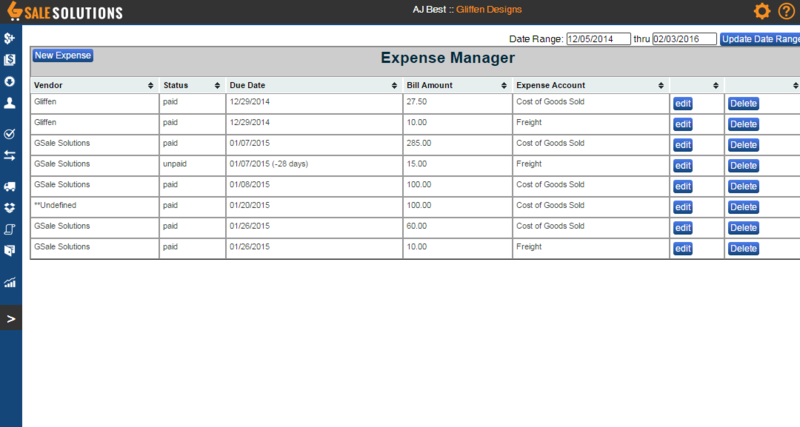 The Expense Manager shows a list of expenses you have loaded. 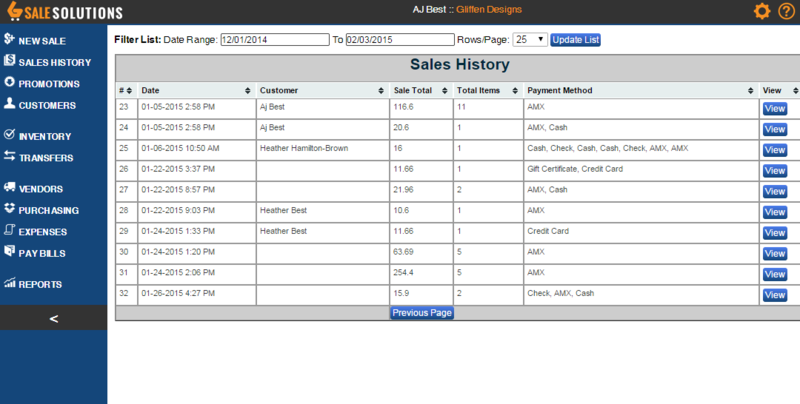 You can edit expenses or filter this list to show specific items you might be looking for. 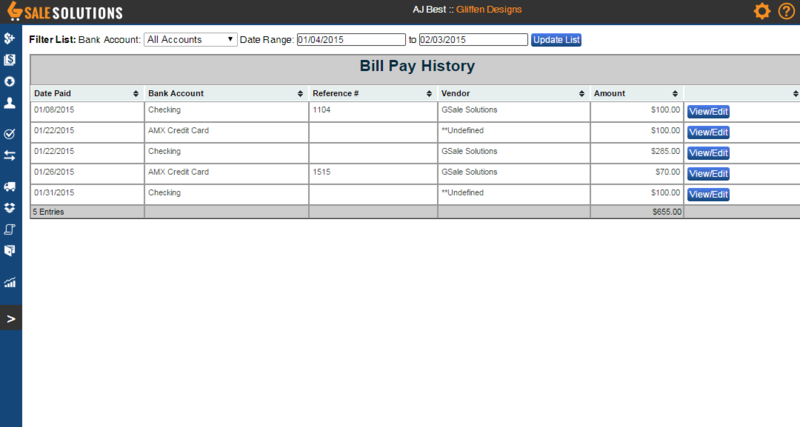 The Bill Payment History area shows sets of expenses paid to various vendors. The Vendor list shows all of the manufactures and service providers you have loaded. 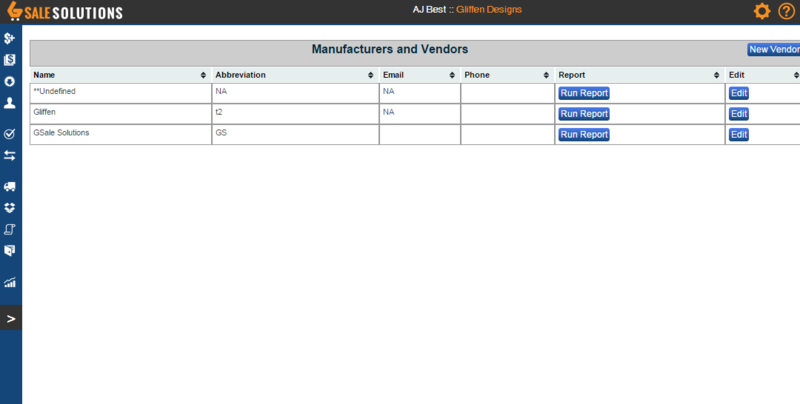 You can add, edit or run reports for any of these vendors. The Categories and Products area has the functionality for adding or editing your inventory or the categorization of the inventory. The Purchase Order Receiving Area. 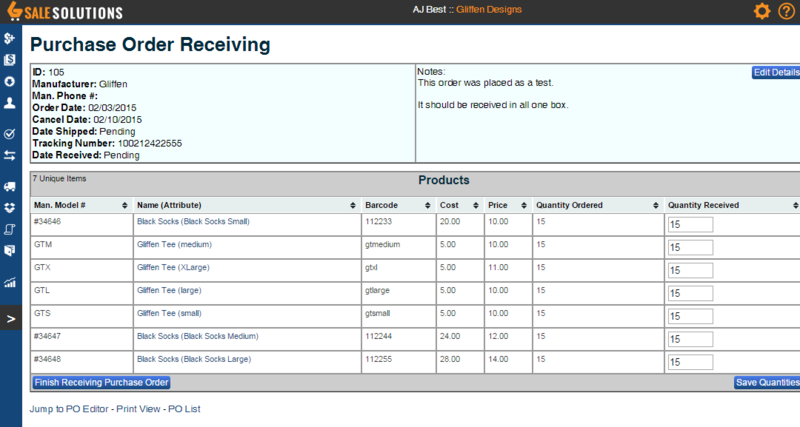 This purchase order has already been created and is now in the receiving area. This is a sample report showing the sales performance for a particular category of products over a timespan.